When I encountered these lovelies at the market, I had a change of heart. They looked like they needed to be experimented with in my kitchen. Right now. No turning back. First thing first, I checked my cookbooks for a rhubarb recipe. No such luck. I turned to Google, the ultimate recipe collection. One of my favorite food blogs, Smitten Kitchen, had just what I was looking for: Strawberry-Rhubarb Crumble. I’ve heard lore of the delights of combining strawberry and rhubarb, so this was my chance. Not to mention, the strawberries were gorgeous. This was a no-brainer. The perfect recipe to welcome Spring. I had the pleasure of enjoying this right out of the oven, when it is best. It definitely should be eaten after cooking. The crumbles on top get pretty soggy overnight. 2. Prepare filling: Toss rhubarb, strawberries, lemon juice, sugar, cornstarch and a pinch of salt in a 9-inch deep-dish pie plate. 3. 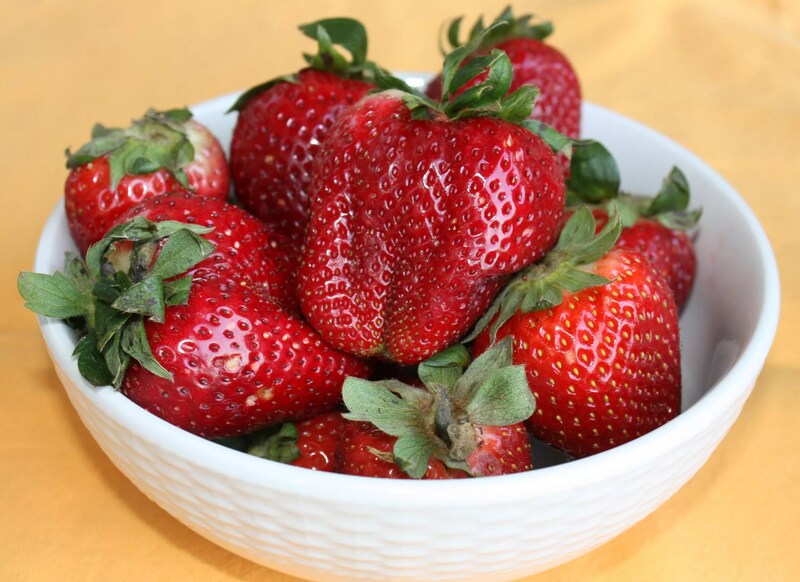 Remove topping from refrigerator and cover fruit thickly and evenly with topping. Place pie plate on a (foil-lined, if you really want to think ahead) baking sheet. 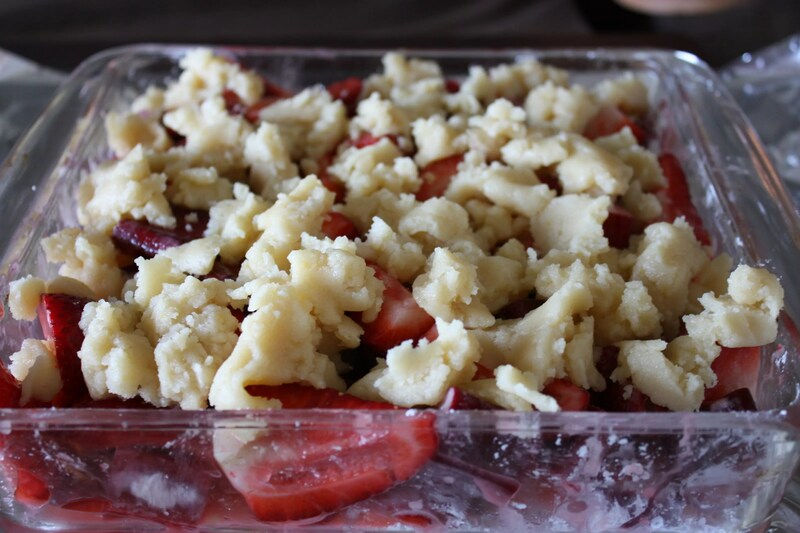 Bake until crumble topping is golden brown in places and fruit is bubbling beneath, about 40 to 50 minutes. Be sure to cut the rhubarb in even one-inch pieces so that it all cooks evenly. You don’t want a crunchy bite of rhubarb. I did not have a deep baking dish for the crumble, so I just used an 8 by 8 Pyrex casserole dish. It worked just fine. this looks delicious. i love savory with sweet. i may have to try this!!! I was JUST talking to someone about Strawberry Rhubarb Pie and how I’ve never attempted making it. Maybe this will give me the inspiration to give it a whirl. Thanks! 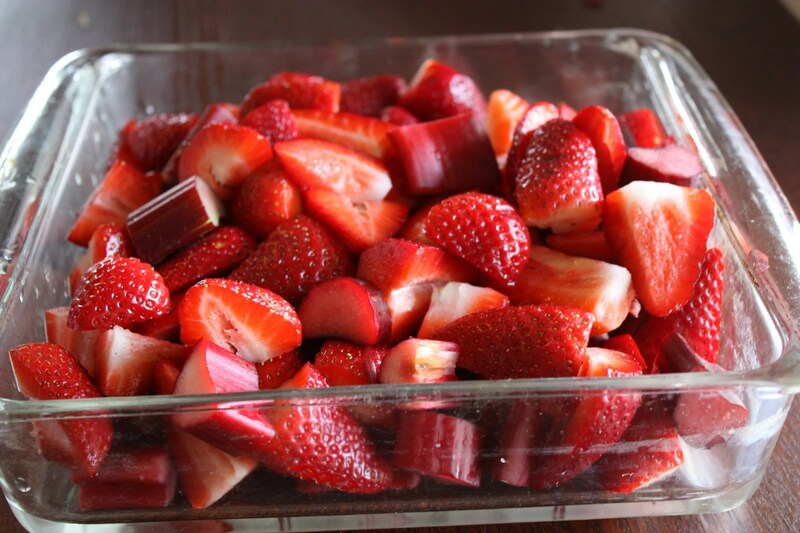 I love Strawberry-Rhubarb anything! So, you inspired me to do some baking this past weekend. I hope you don’t mind, I took the liberty of using a different topping. I used a crumble recipe topping that uses rolled oats to make it a bit more rustic. The pairing worked well. I think next time I need to cut back the amount of lemon juice. It may be that I used to large a lemon. Unfortunately it overwhelmed the natural tartness of the rhubarb and the sweetness of the berries. Nothing that a scoop of good vanilla ice cream didn’t remedy!